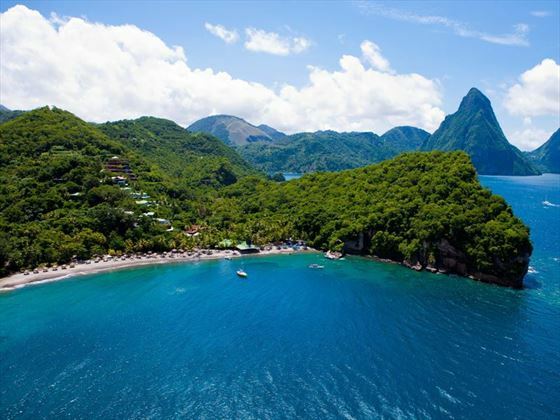 Rising majestically above the 600 acre beach front resort of Anse Chastanet, Jade Mountain St.Lucia is a cornucopia of organic architecture celebrating St Lucia’s stunning scenic beauty. 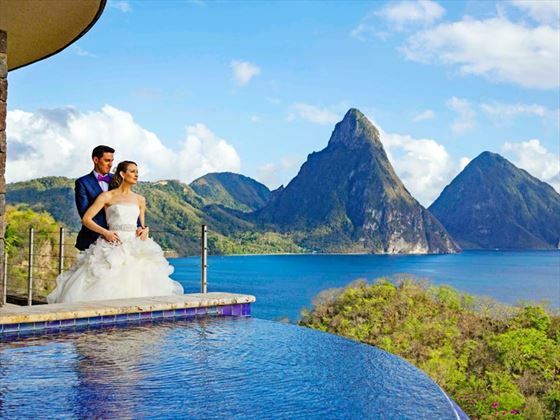 In addition to the Anse Chastanet wedding locations, guests staying at Jade Mountain can get married on the Celestial Terrace or in their infinity pool sanctuary. 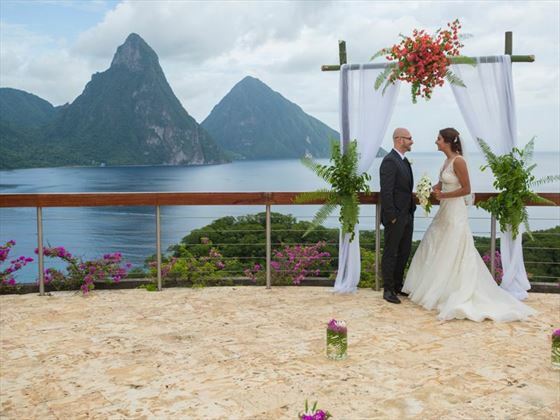 The dramatic scenery makes it a very popular choice for brides and grooms. 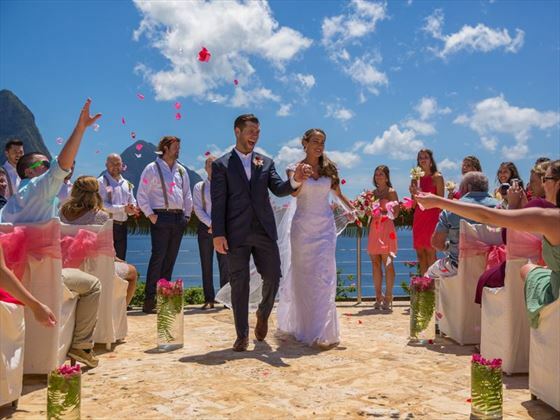 The very essence of Jade Mountain is the celebration of life and love. 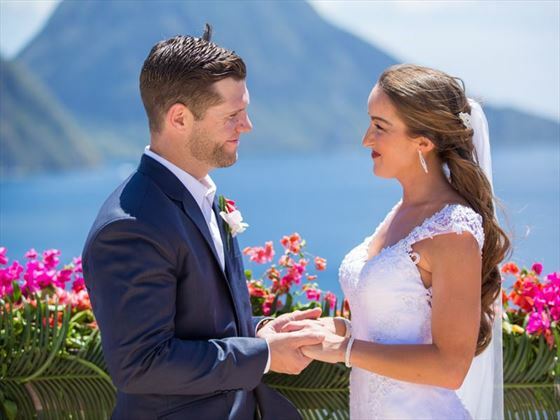 The spectacular setting and architecture is an unforgettable stage set for the wedding of a lifetime. Weddings are the unique and individual affair. 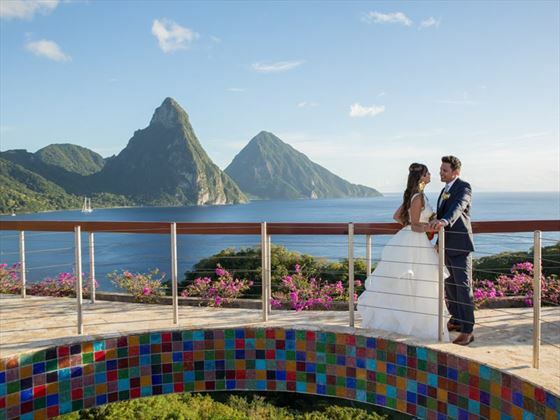 In addition to the ANSE CHASTANET wedding locations, guests staying at JADE MOUNTAIN can get married on the Celestial Terrace at Jade Mountain or in their infinity pool sanctuary. 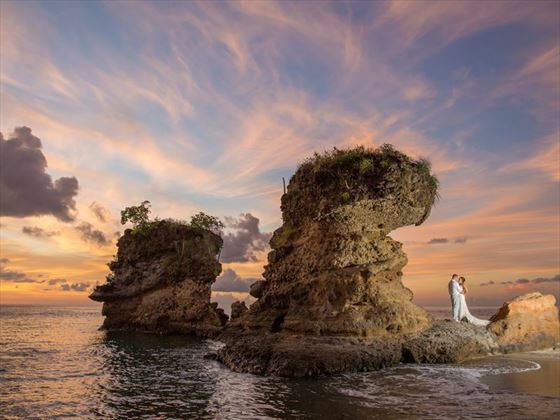 There is no dedicated “wedding chapel", instead, the bride and groom choose their own “very special location,” be it the Treehouse, the beach, Kai Mer, the “Miss Ina,” the old colonial plantation, a nearby waterfall, the coral reef or the privacy of their room. Please note that some wedding venues do carry an additional supplement. Please call for details. 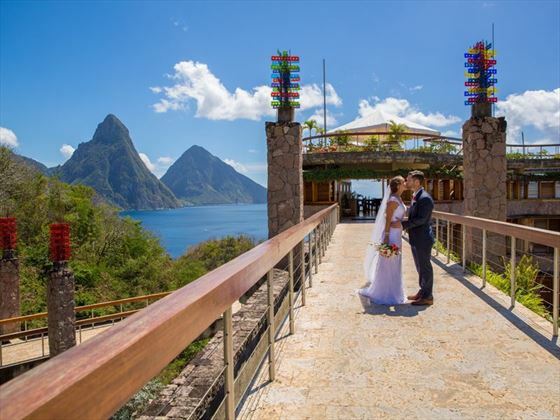 Receive the Classic Wedding FREE when you travel between May - December 19th 2017 & May - December 2018. To qualify, stay 7 nights or more on all inclusive board basis. This offer is exclusive to Tropical Sky.